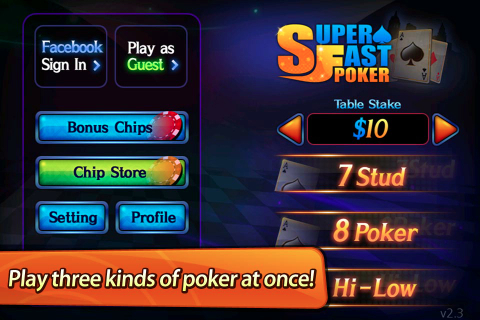 All New “Super Fast Poker” for Android is released today. This is a classic poker game which can take a lifetime to master. but only the best five-card poker hand possible for each player is used to determine the winner. You can feel world best super fast online poker.